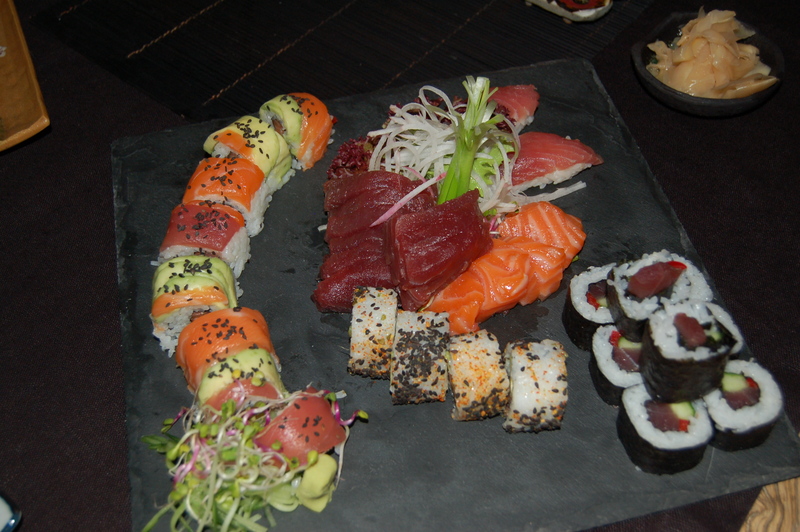 I lost my sushi virginity right here on Mallorca, when I went to review Coast by east restaurant for abcMallorca magazine (August 2012). I’d always been slightly nervous about eating raw fish but, sushi being an important part of the food offering at this waterside place in Port Adriano, it had to be tried. Thomas Baar, who was taking the photos, gave me a useful intro to the world of sushi. I tried. I liked. A lot. 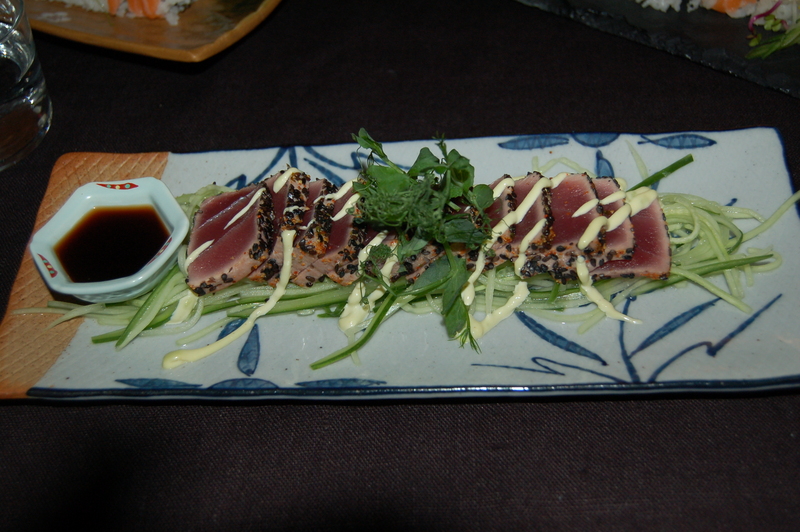 Mallorca offers plenty of opportunities to enjoy sushi; even Manacor, our nearest town, now has a couple of sushi places – as yet untried. They’re on the list. So many places; so little time (and money!). When The Boss and I visit Palma we often go for sushi in one of the two main markets. Our favourite in Mercat Olivar is Yosushi, owned by German chef Thomas Wilden; in Santa Catalina market you’ll find us perched on the high stools (once I can get up onto one!) at the counter of Arume – where we enjoy watching our order being made for us. A day after our last sushi lunch excursion I heard about an imminent sushi-making workshop being offered by Delicioso – a catering and provisioning business in Santa Ponsa, in the southwest of Mallorca – and signed up immediately to take part. I’d already been planning to have a go at making sushi at home and, over the course of several weeks, had been buying the Japanese store cupboard ingredients I’d need. 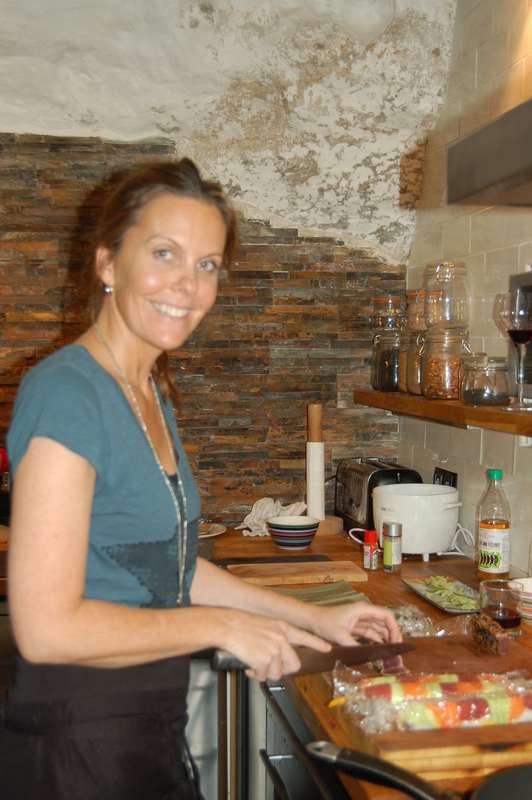 The four-hour workshop was held last Wednesday and, because there were only three of us participating, was held at the home of Sofia Warsaeus – the Swedish yacht chef who was going to teach us the art of making sushi – rather than in the large pro kitchen at Delicioso. Emily – a yacht chef – and Jade – a budding yacht stewardess – were my fellow ‘students’. As we sipped Japanese green tea, Sofia briefly talked through the notes that she’d prepared for us to take home, which included recipes for sauces, instructions for making perfect sushi rice, and other useful information. Then it was off to the kitchen to prepare some rice, cut some fish (on this occasion we tackled loin of tuna and a superb piece of salmon), and prepare some vegetables. Sofia knows a lot about sushi preparation and had learnt some useful skills and tips from a master sushi maker, during a month-long stay in Japan. I felt we were getting some good insider information. Preparation of all the ingredients completed, we learnt how to use a bamboo mat to roll the sushi, and each prepared maki, nigiri, sashimi, inside-out rolls, and rainbow rolls. The workshop was very hands-on and all three of us had plenty of practice at rolling, under the watchful eye of our tutor. On the occasion I forgot to wet my hands in the bowl of water we’d each been given, I ended up with more rice on me than on the nori sheet. I’m sure Sofia will have found bits of sushi rice all over her kitchen after we’d left . . .
What’s Japanese for bon profit? Once we’d prepared everything, it was time to cut the rolls and present them on platters, with the benefit of some of Sofia’s shared professional presentation tips. With our combined handiwork artistically displayed and decorated, we took our platters to the dining table, where we had a sushi supper together, accompanied by a cup of hot sake. Last night I put my sushi-making skills to the test at home and I’m pleased to report I got a thumbs-up from The Boss. My rolling skills require some refinement, but I’m sure this will come with more practice. 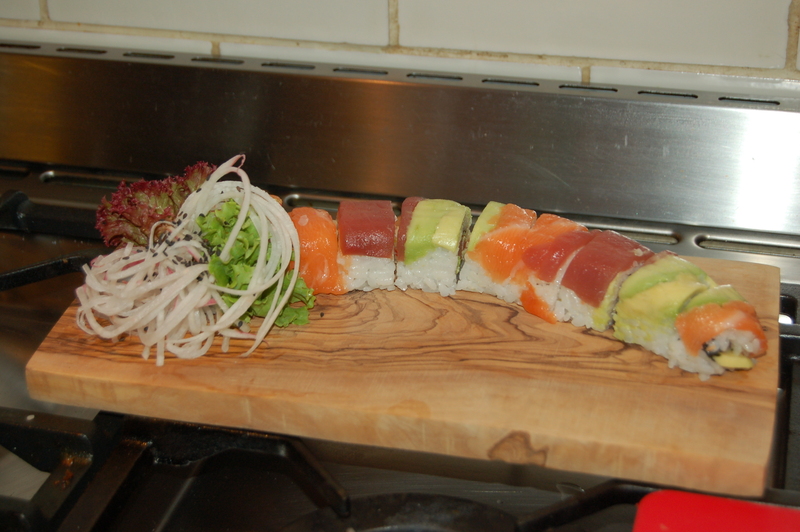 Saturday nights at home could become regular sushi nights at our finca . . .
Delicioso will be holding more courses throughout the winter and, if you sign up for their free newsletter on their website, you’ll receive the details. And, not surprisingly, Delicioso also stocks the essential ingredients for making sushi at home. If you’re based on Mallorca, offer professional sushi instruction and haven’t been mentioned here, please feel free to add your details to the comments section.